Antalya has a spectacular museum that houses the archaeological artifacts recovered from the ancient sites of Turkey's Mediterranean region. 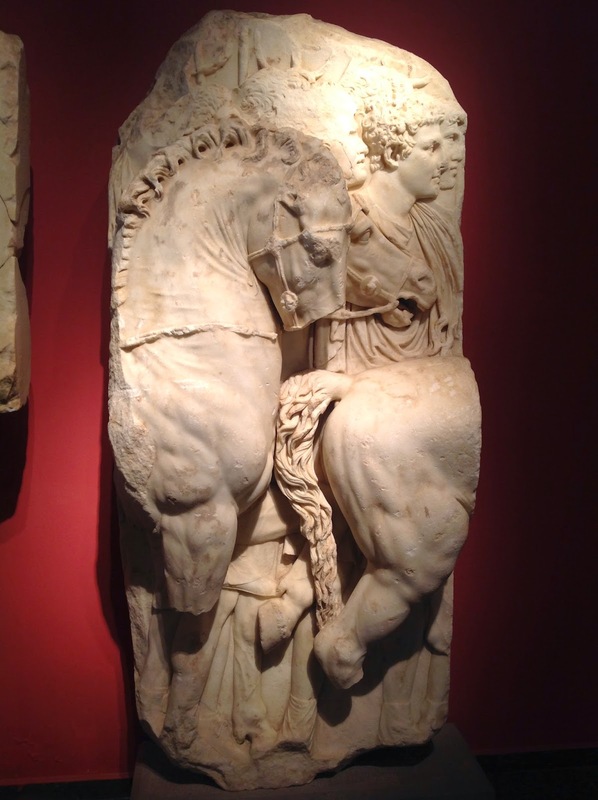 With its huge collection of Roman statues, walking around the museum encountering emperors and Gods at every corner makes it feel like traveling through time and running into old friends -especially for lovers of antiquity. 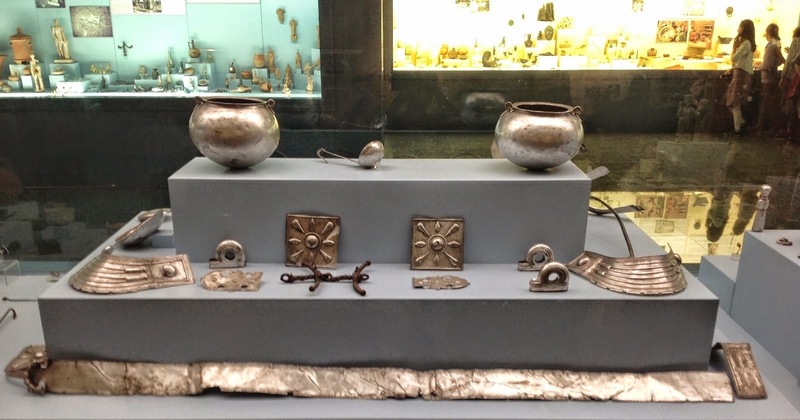 There is also a section devoted to Ethnographical collection which includes pieces from the time of the Ottoman and Seljuks. Although it is large, the museum is easy to navigate - youjust have to give yourself enough time. There is a Kids section with a timeline of history at the entrance of the galleries that my four year old nephew loved. The museumshop has a lot of gift and book options: I bought a children's book about the Romans for my nephew which entertained us all throughout the week-long road trip. There is also a lovely cafe in an inner courtyard where you can sit in the shade drinking Turkish tea surrounded by ancient statues. Phrygian, Bayindir-Elmali tumulii, 7th century B.C. Kofte and Piyaz are a traditonal duo of Turkish cuisine. Kofte is a something between a hamburger and a meatball that all of my non-Turkish friends love and piyaz is a salad of beans, tomatoes and hard boiled eggs that complements it perfectly. 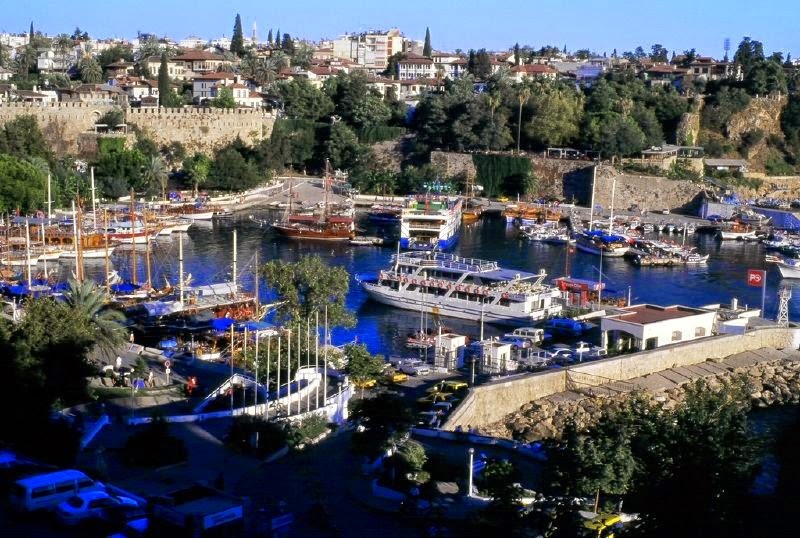 I was told before we left Istanbul that there was a famous restaurant, Piyazci Ahmet, in Antalya that we should not miss. At first I found it odd that it was called a Piyazci (place where piyaz is made) since most of these places are actually known as Kofteci (place where kofte is made). 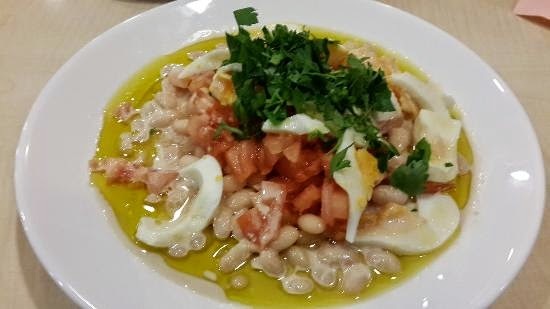 When the salad arrived I realized why it was known as such, I have never tasted a piyaz like it anywhere else. What makes this salad so out-of-this-world-perfect is its special dressing which has tahini and a vinegar made from local fruits. We knew the lentil soup was going to be excellent just by the fact that the waiter very confidently announced he would take it back if we didn't like it. Their kofte and piyaz is worthy of any self-respecting foodie's bucket-list. There is no website for the restaurant but it has gotten a lot of great reviews in tripadvisor. As we were leaving, my brother, who lives in LA and does not make it to Turkey all that often, remarked "Damn, now I am going to have to come back here for this!" 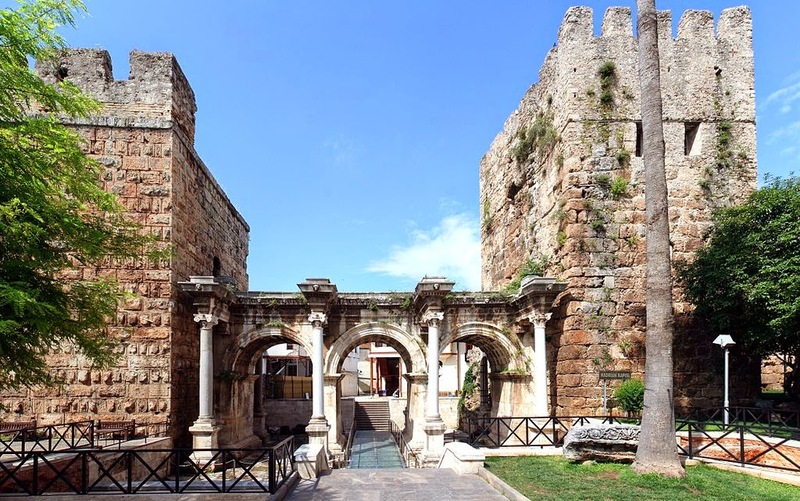 Antalya's hstoric center is known as"Kaleici" (Inside the castle) since it is a citadel which has the remains of its Roman, Byzantine, Seljuk and Ottoman past. 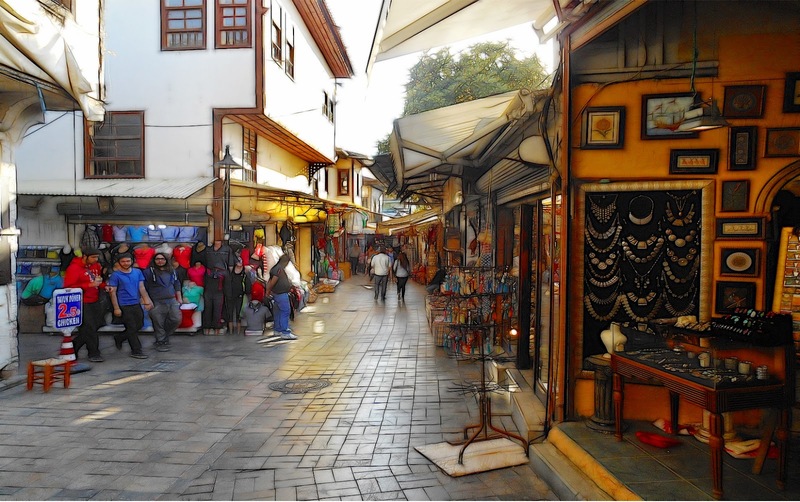 It is a charming array of narrow, winding streets, old wooden Ottoman houses and even the gate of Hadrian. For detailed information and great pictures about Hadrian's Gate, I suggest checking out followinghadrian.com. The abundance of shops, cafes, restaurants and hotels in the area make it an ideal location for an extended stay. One word of warning though - do not under any circumstances go into the citadel with a car, even if they let you in. We made that mistake and barely made it out without getting any bumps or scratches. Also, for a really authentic experience, you should try Antalya's 'Yanik Dondurma" (burnt icecream) before you leave the city. We went in search of it and the reactions from our little group were mixed - the kids and I liked it but not everyone was as enthusiastic as us.